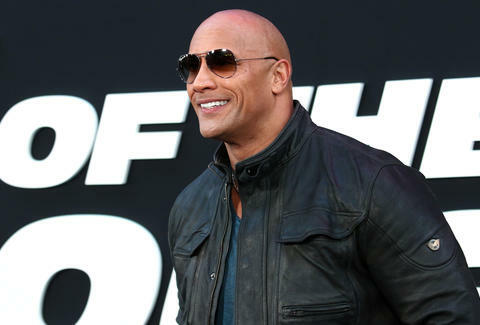 It's always been a bit of a mystery as to what exactly Dwayne "The Rock" Johnson has been cooking for all these years, but we now have a pretty good idea that it probably smells like booze. That's because the multi-talented megastar just filed paperwork to secure the rights to a tequila brand. That's right, the former pro wrestler-turned-highest-earning actor in Hollywood is dipping his toe into the liquor business. Following in the footsteps of fellow A-lister George Clooney, Johnson is planning to unleash his own version of the Mexican spirit sometime soon, per documents obtained by TMZ, including paperwork that shows his company just secured the trademark rights to the a brand of booze named "Mana." The name is actually a nod to Johnson's Polynesian heritage, translating to the Polynesian word that refers to the supernatural "spirit" or essence that exists in people and objects. There's no word yet on what style of tequila he's planning to put out, or when it may hit shelves, but it's tough to imagine how he'll manage to squeeze in such an undertaking considering the pace at which he seems to be churning out the blockbusters. Then again, after seeing Clooney rake in a billion bucks in the booze biz, it'd be easy to see why he might make the whole project a priority. Something tells us this can only improve his chances of winning the presidency in 2020.